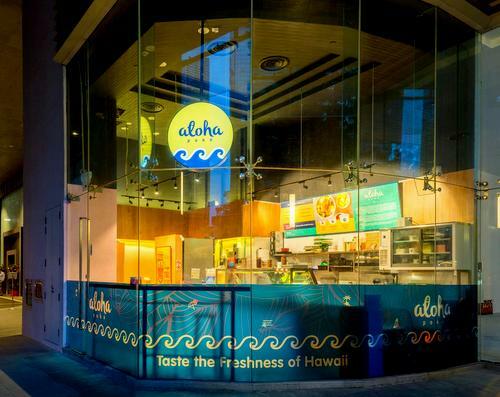 Aloha Poké Hawaiian restaurant chain has eight locations in Singapore, including one within One Shenton (1 Shenton Way). 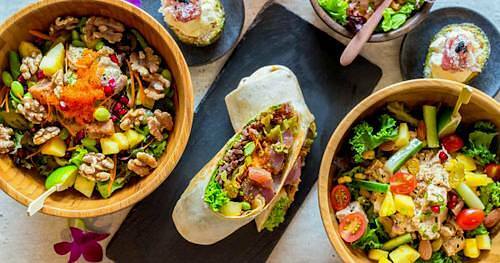 Established in October 2015, Aloha Poké brings the best tastes of Hawaii to Singapore, including the traditional Hawaiian poké. Poké is a Hawaiian staple (and the choice food for surfers) comprising of seasoned ahi (tuna) tossed with toasted sesame seeds, sweet onions, and scallions. It’s great on its own, but can be consumed over rice and salad. The Aloha Poké version of the dish is always prepared with generous amounts of tuna or salmon lightly marinated in their secret sauces, then topped off with a wide selection of add-ons and superfoods. Staying true to the chain’s Hawaiian heritage, their fish is seasoned to perfection, with each bite taking you back to that perfect sunny day on Waikiki Beach, while the crisp vegetables will remind you of the refreshing breeze of the Pacific Ocean. There are three flagship poké versions available: Original, Wasabi Mayo, and Spicy. Every poké bowl is served with rice and salad, your choice poké, and topped off with scallions, pineapple, and lime. You can choose from two complimentary adds-ons and one superfood from the comprehensive selection. Another popular choice on the menu is Pokeritto, which contains all the great taste you’d expect of an Aloha Poké bowl, but wrapped and lightly toasted for a hearty meal. Pokeritto includes your choice of poké, two complimentary add-ons, one superfood, and finally topped off with scallions and pineapple. As the evening progresses (and in the spirit of the Hawaiian islands), Aloha Poké transforms into a Tiki Bar, serving Hawaii-inspired Tiki cocktails and delicious Tiki Treats for a true Hawaiian Luau (Hawaiian party / feast) experience. The Tiki Bar’s cocktails are specially designed and feature tropical liquors such as Malibu, Spiced & Jamaican Rum, Midori and Aperol. Popular signature cocktails include Fiery Passion, Mauna Loa, and Big Island Iced Tea. Or choose from one of the classics, such as Maitai, Blue Lagoon, Pinacolada, and Hawaiian Stone Sour. The dinner menu (Tiki Treats) has Hawaiian all-time favourites, like Musubi and Lomi-Lomi, as well as Ultimate Poké Bowl, Kahlua Pig, and the Loco Moco. The official Facebook brand page for Aloha Poké is located at www.facebook.com/alohapoke. You can also follow Aloha Poké’s official Instagram account, which in turn is available at www.instagram.com/alohapokesg/.